Some have an aura before an attack, with flashing lights in front of their eyes; some may feel numb, or experience a strong smell. All migraine sufferers have severe pain, and may experience nausea, and aversion to strong sound or light. The current treatment is a cocktail of medication aimed at reducing or preventing the changes in blood flow, or the drop in serotonin that occurs before an attack. What most people don’t realize is that some dentists, with a knowledge of craniofacial pain may be able to help prevent or control migraine without the need for constant medication. There are some causes of migraine that cannot be helped by any form of dentistry. Some migraine is a genetic disorder that changes the channels in the nerve sheaths, and prevents the proper transfer of ions in and out of the nerves. A cardiovascular condition called patent ductus arteriosus is also associated with migraine. These are a small proportion of migraine sufferers. Many migraine sufferers have learned to avoid certain triggers that cause attacks. These triggers may be dietary, like chocolate, or may include lack of sleep, or stress. The above link is to an excellent site that may help some sufferers cope with their symptoms. The abstract below may help explain the origin of the problem. Migraine is the most common neurological disorder, and much has been learned about its mechanisms in recent years. However, the origin of painful impulses in the trigeminal nerve is still uncertain. Despite the attention paid recently to the role of central sensitisation in migraine pathophysiology, in our view, neuronal hyperexcitability depends on activation of peripheral nociceptors. Although the onset of a migraine attack might take place in deep-brain structures, some evidence indicates that the headache phase depends on nociceptive input from perivascular sensory nerve terminals. The input from arteries is probably more important than the input from veins. Several studies provide evidence for input from extracranial, dural, and pial arteries but, likewise, there is also evidence against all three of these locations. On balance, afferents are most probably excited in all three territories or the importance of individual territories varies from patient to patient. We suggest that migraine can be explained to patients as a disorder of the brain, and that the headache originates in the sensory fibres that convey pain signals from intracranial and extracranial blood vessels. There is a lot of information in this small paragraph. And it can be difficult to understand. What it means is that migraine takes place inside the brain, but that the cause of the deep brain pain is stimulation of the blood vessels in the periphery of the face and neck. The blood vessels can be stimulated by myofascial trigger points in the face, shoulder or neck. These are taut bands in the muscle that refer pain to prescribed areas in the face. The trigger can be congestion in the nose, such has happens if someone is sensitive to dairy foods, or gluten or other allergens. The trigger can be from other neck related issues, which feed into the trigeminal nerve. 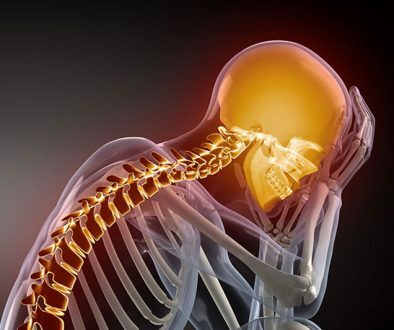 If this is the case, then it is possible that there may be a treatment that will stop the cause of the migraine, as the posture of the jaw and neck are bound up in each other, and the treatment of myofascial trigger points is integral to tmd or temporomandibular dysfunction treatment. 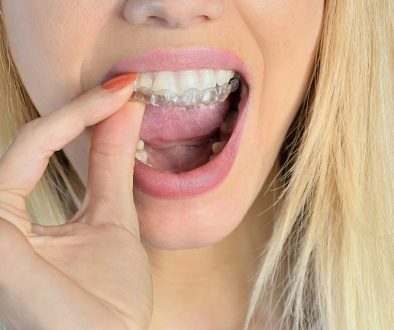 This would involve wearing day and night orthotics to orthopedically position the lower jaw and provide balance between the cervical and occlusal systems. The key is not to overload the trigeminal nerve, which is the nerve to the face and neck. There are a couple of tricks to help abort migraines. These include having a drink of coffee when the migraine is in the prodorome or aura phase, avoiding irritants, getting enough sleep, avoiding certain foods, and sometimes using something like peppermint oil as a nasal spray to open the nasal passages. I hope that this information will be hepful for anyone who suffers migraine, or has friends or relatives who suffer from migraine. If anyone has questions or comments about this, please feel free to contact us. Should I get my teeth whitened? 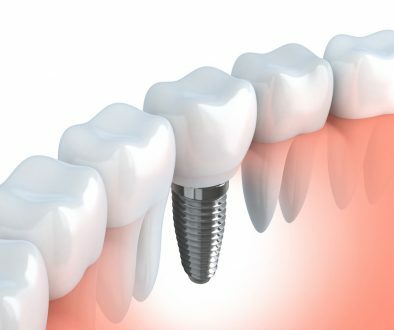 Do I need to have all teeth out to have Implants?